As a job shop gets passed down the generations, the way it’s run changes. When a shop first opens, it is small, with only a couple of people working at it. It starts in someone’s garage or a small work space. Then, as the shop gets more successful, they start to hire more people and move into a bigger space. The owner now spends more time running the shop and less time working on the floor. They invest in new machines that can work more quickly and more efficiently. As time moves on and the shop gets bigger, more and more things change until it’s hard to believe that this started in someone’s garage. When the shop gets handed down to the next generation, now there is a new set of eyes looking at how to make improvements. These new shop owners are carrying on the tradition of improvements by upgrading their technology. When this new generation of shop owners takes over, they’re looking at every part of the shop and figuring out what they can do better. They remember when they were growing up, their parent spent long hours at the shop and not enough time with them. They remember that if anything happened to the shop data on a computer, or the papers in the file cabinets at the shop, everything was lost. If any problems happened to the computers at the shop, or if their computers got a virus, their ERP (Enterprise Resource Planning) system would go down and the shop would have to stop work. This new generation doesn’t want the problems of the past to happen to them. So, just like in many other industries, they’re turning to the internet to make sure of that. More and more, this new generation of shop owners are going to cloud ERP. 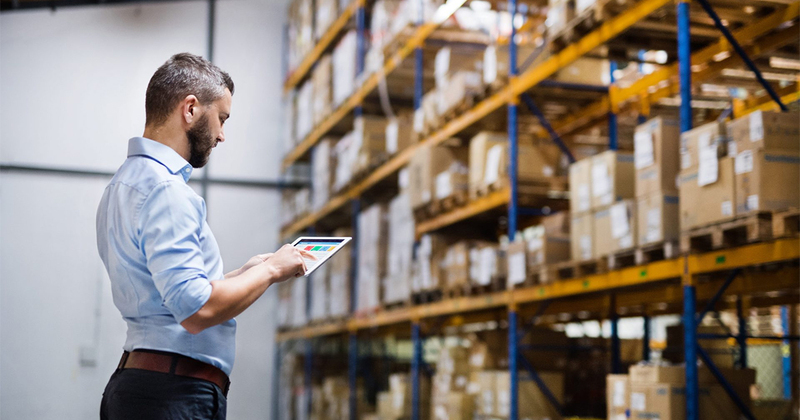 By putting their shop’s ERP system on the cloud, this new generation solves many of the problems they remember from when their parents ran the shop. If they’re able to access shop information from anywhere at any time, they’re able to spend more time with their kids and less time at the shop. In addition, they know that the data their shop runs on is secure. There will never be a need to run to the shop at 2AM to back everything up on a flash drive, and the security on the cloud is stronger than anything the shop owners would buy. On the cloud, data is backed up every minute and can be restored to a point in the past if needed. It would take many complete failures in many different places for the software to stop running, instead of any local computer problems stopping the shop for the day. As those in real estate, finance, and retail have already learned, using the cloud is a secure, reliable way to make your business run better. Above all else, cloud ERP gives these shop owners peace of mind that their shops will keep running efficiently, and their software solution won’t become a problem. Erica Carpenter was faced with all of these decisions when she took over X-Mil Inc. from her father. She chose to upgrade from E2 Pro to E2 SHOP web-based, and she’s been enjoying the benefits ever since. Read more about her story below.